What is a Keystone ALPINE? This RV has been lived in 1 year total time. It is extremely appealing to the lady of the RV, as it has dual sinks in the Master bath, lots of floor space, including a walk in closet. This unit also has a Dyson cordless vacuum, a washer/dryer, oversized refegerator, two fireplaces and two TV's (family and master bedroom). Comfy rocking recliners and sleeper sofa, dining table free standing with 4 chairs. The cooking includes a microwave/convection combo. 3 slide outs and custom cabinetry with granite counter tops. Truly home away from home. 2019 Keystone RV Alpine 3400RS, Gorgeous Home away from Home 5th Wheel! This beautiful Alpine 5th wheel offers you everything you want in an affordable and luxurious traveling experience. Upon entering, you are welcomed into your big island kitchen featuring Furrion Chef Collection appliances. Enjoy your stainless steel residential style double door refrigerator, 3 burner iron-grilled stove with oven, 30" convection microwave and dishwasher. The Island features a stainless deep double basin sink with high rise faucet, lots of counter space, beautiful wood cabinetry with slide out garbage and recycle bins, and designer pendant lighting. The curio hutch built-in next to the large pantry offers additional counter space, designer tile backsplash and cabinetry. Opposite the kitchen is your free standing dinette with full padded chairs, under-table top storage and a designer light fixture. Your kitchen opens into the rear living room offering comfort in style. Relax in your soft leather theater seating with message and heat features as you enjoy your 40" fireplace and TV entertainment center with AM/FM/CD/DVD/Bluetooth entertainment system. The soft leather trim-fold sleeper sofa offers more relaxing seating as sleeping options. To the front of this model you will step up into the hallway leading to the bathroom and master bedroom. The bathroom offers a large step in shower with sliding glass doors, seat and hand held messaging shower head. The vanity sink with mirrored medicine cabinet also offers a built-in linen closet and plenty of room is offered around the pedal flush porcelain toilet. The bedroom features a 70x80 pillow top mattress with a designer headboard, reading pendant lights and end tables. The cedar-lined mirrored closet offers moth free clothing storage and your additional large double doored closet is washer/dryer ready. Enjoy watching evening movies on the TV set above the built-in dresser. The Keystone Alpine is equipped with the In-Command touch screen system to give you ease of operation with the touch of a finger for your water heater and lights.< Please note that the in-stock unit may not have all of the options listed. Please call dealership inquire as to what options are included and available on this particular unit. 2019 Keystone RV Alpine 3700FL, Keystone RV Alpine fifth wheel 3700FL highlights: Kitchen Island Five Slides Full and Half Bath Two Electric Awnings Separate Living Room Come see just how fun and easy camping can be with this luxurious five-slide Alpine fifth wheel by Keystone RV. Getting ready for the day is easy with a large master bathroom that has two sinks, plenty of counter space, and a shower, and the second half bathroom is conveniently located just off of the kitchen. In the kitchen area, you will find dual opposing slides and all of the amenities you need to fix your favorite meals, such as a convection microwave, a two-burner range, and an 18 cubic foot refrigerator. Step up to the front living room where you will find two tri-fold sofa sleepers, theater seats, a fireplace, and an entertainment center with a 50" LED TV.  When you choose an Alpine fifth wheel by Keystone RV, you are choosing luxury. The Whisper Air System is the quietest cooling system ever developed, and it keeps your RV at the perfect interior temperature no matter what the outside weather may bring. Every aspect of the Alpine has been designed to enhance your full-time camping experience, like the oversized pass-through storage which is the industry's largest at roughly 200 cubic feet, and the central vacuum system will help you keep your Alpine looking its best throughout each adventure. You will also love the Furrion RV Chef Collection that gives you the ability to cook with precision and consistency as you travel the country and helps you provide your guests with a higher level of cuisine during each camping trip. 2019 Keystone RV Alpine AL3800FK, Keystone RV Alpine fifth wheel 3800FK highlights: Front Kitchen Five Slides L-Shaped Dinette Private Bedroom Fireplace For complete comfort and luxury throughout, choose this Alpine fifth wheel by Keystone RV. You will find a unique front kitchen with an 18 cubic foot refrigerator and convection microwave, and in the spacious living area you will find theater seating, a fireplace, a 50" LED TV, and dual opposing slides with a tri-fold sofa sleeper. When you are ready to rest up for another day of fun, head to the rear private bedroom where there is a king-size bed with plenty of storage underneath. When you choose an Alpine fifth wheel by Keystone RV, you are choosing luxury. The Whisper Air System is the quietest cooling system ever developed, and it keeps your RV at the perfect interior temperature no matter what the outside weather may bring. Every aspect of the Alpine has been designed to enhance your full-time camping experience, like the oversized pass-through storage which is the industry's largest at roughly 200 cubic feet, and the central vacuum system will help you keep your Alpine looking its best throughout each adventure. You will also love the Furrion RV Chef Collection that gives you the ability to cook with precision and consistency as you travel the country and helps you provide your guests with a higher level of cuisine during each camping trip. 2019 Keystone RV Alpine 3650RL, Keystone Alpine fifth wheel 3650RL highlights: Free-Standing Table Kitchen Island Master Suite Two Electric Awnings Fireplace Convection Microwave Are you ready for a cozy weekend away with this Alpine fifth wheel at your favorite destination? Throughout this model, you will enjoy all of the livable space that comes from three slides. When the night gets chilly, grab a blanket and a book and relax on the theater seating or sofa sleeper in front of the warm fireplace or watch your favorite movie on the 50" LED TV. As you wait for dinner to be prepared on the 3-burner range top, you can grab a snack from the 18 cubic foot refrigerator and sit at the free-standing table with chairs as you chat with the chef. With its own bathroom entrance, a 32" TV, and a king-size bed, the master suite proves to be the most relaxing and comfortable place to spend each night. When you choose an Alpine fifth wheel by Keystone RV, you are choosing luxury. The Whisper Air System is the quietest cooling system ever developed, and it keeps your RV at the perfect interior temperature no matter what the outside weather may bring. Every aspect of the Alpine has been designed to enhance your full-time camping experience, like the oversized pass-through storage which is the industry's largest at roughly 200 cubic feet, and the central vacuum system will help you keep your Alpine looking its best throughout each adventure. You will also love the Furrion RV Chef Collection that gives you the ability to cook with precision and consistency as you travel the country and helps you provide your guests with a higher level of cuisine during each camping trip. 2019 Keystone RV Alpine 3800FK, Keystone RV Alpine fifth wheel 3800FK highlights: Front Kitchen Five Slide Outs Comfortable Living Area Private Rear Bedroom For complete comfort and luxury throughout choose this Alpine 3800FK fifth wheel by Keystone RV. You will find a unique front kitchen with an 18 cu. ft. gas/electric refrigerator. Come relax in the spacious living area. Here you will find dual opposing slide outs each with a tri-fold sleeper plus there are theater seats along the interior wall and across you can enjoy the entertainment center with fireplace. When you are ready to rest up for an other day of fun, come to the rear bedroom where there is a queen bed plus plenty of storage under the bed and so much more! 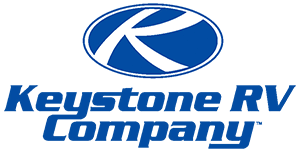 When you choose an Alpine fifth wheel by Keystone RV, you are choosing luxury. There are plenty of packages available to choose from such as the Upgraded Appliance Package with includes a Furrion RV Chef Collection kitchen, a 30 convection oven/microwave, plus extra deep, fully extendable drawers and more. The Deluxe Solid Surface Package features solid surface countertops and sink covers, stainless steel extra deep sink, high rise kitchen faucet, and maximized kitchen storage with more drawers. The Super Cinema Package has a 50 LED TV, Furrion sound system, outside speakers, digital TV antenna, and dual cable & satellite hookups. With the North Face Insulation Package (ALPS Package) you will find class A style slam baggage doors, electric one-touch awning, insulated slide floors and more. Finally, the Whisper Air Bundle (Chateau Package) has two 15,000 A/C conditioners, digital smart thermostat with dual zone capability, one 16,500 BTU heat pump, and a fully programmable dual zone temperature control. 2017 Keystone Alpine 3471RK 5th Wheel 3 Slides, Frameless Windows, Alloy Tires, 6 Point Leveling System, Power Awning, Trail Aire Hitch Pin, 50 amp Power Service, Residential Refrigerator, Microwave, 3 Burner Stove w/ Oven, J Sofa, Free Standing Dinette, TV, Fireplace, Power Vent Fan, Pantry, All-in-1-Bathroom, King Bed, Cedar Lined Closet, Length: 39', Width: 96", Height: 160", Hitch Weight: 2,605 lbs, UVW: GVWR: , Fresh Water Tank: 66 Gal Gallons, Grey Water Tank: 83 Gallons, Black Water Tank: 49 Gal Gallons, Washer/Dryer Prewired, Main Ducted AC w/ Heat Pump, 12 Gallon Water Heater, Water Heater Bypass, Ceiling Fan, See this Amazing Fifth Wheel at Nelson RV 4060 N Flowing Wells Rd Tucson AZ 85705 Call us (520) 293-1010 or call/text Sales @ 520-512-8171 NelsonRV.com Lets make a deal you can trust! Keystone Luxury RV - Ready for camping –- rear living, two new recliners, fireplace, ceiling fan, pullout sofa with bed, entertainment center with retractable 40” TV, wood cabinetry. Kitchen island with double sink, 4 door electric/propane refrigerator, microwave/convection oven, propane oven with 3-burner range top, dinette with 4 chairs and table leaf storage. large shower, washer/dryer hookups. King Bed with large cedar-lined master closet, TV, large shower, washer/dryer hookups. Hydraulic leveling, electric patio awning (new), tires upgraded 9/2015 (Goodyear LT 235/85R16, G614RST, 14 ply), four season insulation, 10 gal electric/propane water heater, 42,000 BTU furnace. Large basement and front storage capacity. 3 slide outs, Sleeps 4, 2 air conditioners (15k & 13.5 K). Waste - 50 gals, Gray – 82 gals, Fresh – 66 gals, Propane – Two (14.2 gal), 15,500 lb GVWR. Owner enjoyed for five years, moving to a Class A. 2020 Keystone Alpine 3400RS, If you re in the market for a Fifth Wheel, this 2020 Keystone Alpine 3400RS could be what you re looking for. Rest easy in this Fifth Wheel which comfortably sleeps 4. And a master bedroom conveniently located in the Front. This Alpine Fifth Wheel has a lot to offer the RV adventurer, like a Center kitchen with Chairs, Rear living area and Center bathroom. To enhance your traveling experience, the Alpine 3400RS Fifth Wheel also features a stove with 3 oven burners, Standard Dishwasher, Full-Size refrigerator, 2 TVs, Standard Fireplace and more. This Alpine 3400RS, has a GVWR of 15000 lbs and a payload capacity of 2943 lbs. Other notable capacity features include: 1 Black Water Holding Tank(s), 1 Fresh Water Holding Tank(s), and 1 Gray Water Holding Tanks. 1 door(s), 1 awning(s), 3 slideout(s), and equip this Fifth Wheel. 2020 Keystone Alpine 3700FL, Get camp ready and unplug in the 2020 Keystone Alpine 3700FL. This Alpine Fifth Wheel peacefully sleeps 6. And a master bedroom conveniently located in the Center. RV Camping in the Alpine Fifth Wheel offers plenty of at home conveniences like a Center kitchen with Chairs, Front living area and Rear / Center bathroom. Your journey only gets better in the Alpine Fifth Wheel which also features a stove with 3 oven burners, Full-Size refrigerator, 2 TVs, Standard Fireplace and more. This Alpine 3700FL, has a GVWR of 16500 lbs and a payload capacity of 2707 lbs. Other noteworthy capacity features include: 1 Black Water Holding Tank(s), 1 Fresh Water Holding Tank(s), and 1 Gray Water Holding Tanks. This Alpine has 1 door(s), 2 awning(s), 5 slideout(s).